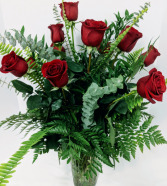 Dozen Red Roses, Mixed Greenery. 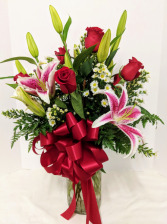 Nothing says "I love you" like a classic vase of red roses. 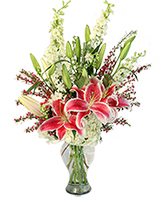 We showcase the roses' natural beauty with elegant mixed greenery in a crystal vase. 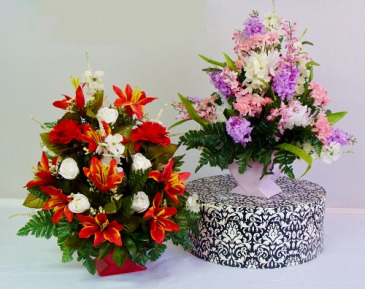 Greenery selection can vary from season to season and based on availability. Roses come in a half dozen, dozen (pictured), and 2 dozen.